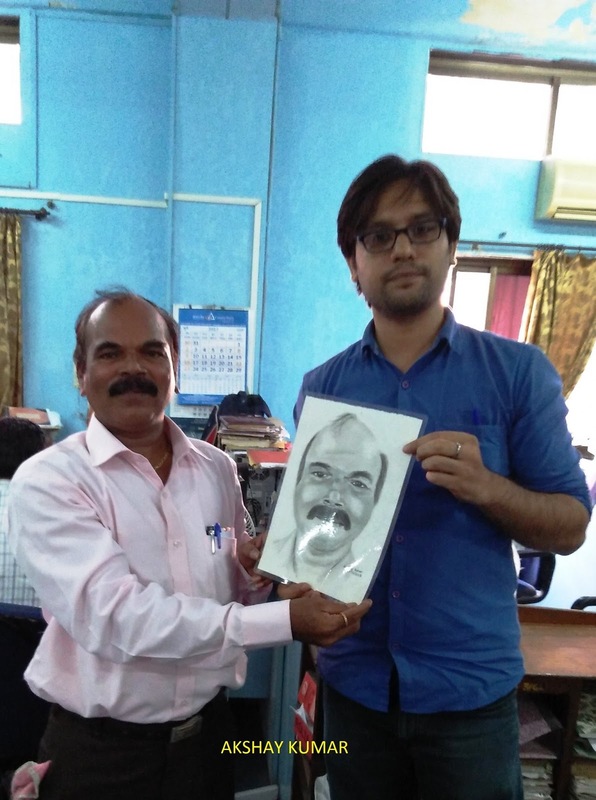 This is a pencil sketch portrait of Shri Shinde who retired / superannuated from the office of the accountant general / Ag office/ cag mumbai which is at pratistha bhawan, marine lines mumbai. He requested me to draw a pencil Portrait for him. 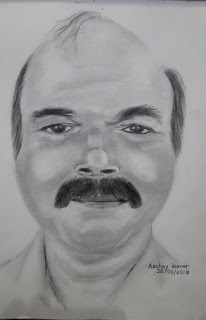 I accepted his request and made this pencil drawing portrait for him from his photo that I had taken with my phone. I signed, got it laminated and gave it to him on the day of his retirement as a farewell gift from me. I hope he will keep this artwork safe and remember Akshay Kumar whenever he sees it. Tools used in drawing this portrait. I draw free hand sketches. I do not use grid or any other tricks to draw portraits from photos. I started from the nose and then the whole face. The reason for starting from the nose is that it becomes the center of the portraits which help me in measuring the distance of and drawing other facial parts. Hb pencil for shading the skin of man's face. 6b pencil for darker areas like hair etc. Cotton for blending the graphite. Eraser for giving a shining illusion on head and cheeks. Feel free to ask your queries regarding pencil sketches. I will be happy to help with whatever knowledge I have. I will keep posting new sketches and drawings on this sketching blog. 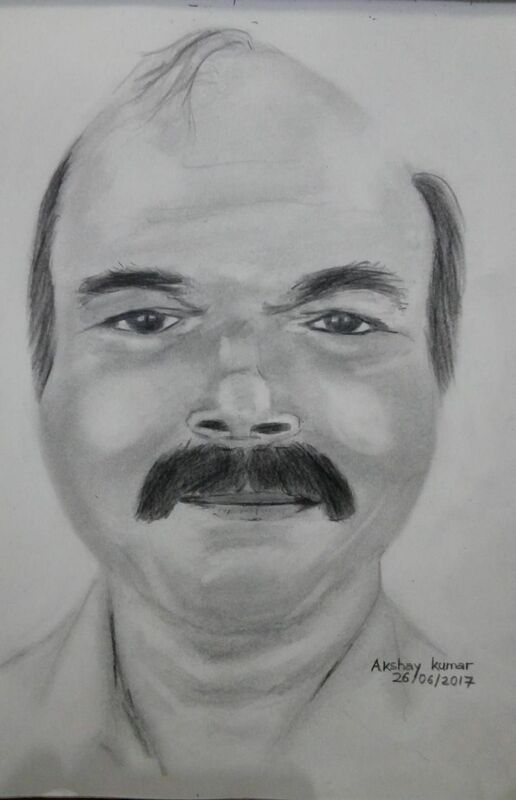 This pencil drawing is relevant for sketching A man's face, drawing a bald man face, drawing of bald man with moustache.